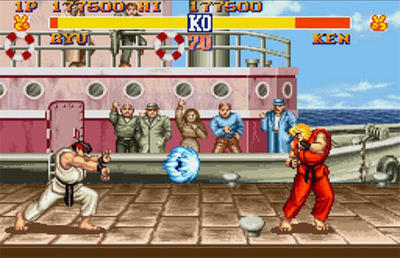 Fighting games have evolved into more than 2D back and forth battles made famous by Street Fighter and Mortal Kombat. Despite their transition into 3D worlds, many of the best fighting games remain trapped in two dimensions, finding it best to simplify movement on one plane. These are my favorite fighters of all time. Street Fighter was the the single most addicting arcade game that chewed through my quarters faster than I could get my parents to hand them over. The single player mode was nothing more than a computer match-up so when someone stepped up to challenge your skills, more than your quarter was on the line. Eventually Street Fighter came to every console you can think of but there was something about battling total strangers that raised the stakes. Dhalsim, the stretchy Yoga master was all mine. Released on all three major consoles of its time, Soul Calibur II brought an exclusive character depending on your platform of choice. The Xbox version brought Spawn, the Playstation 2 version brought Tekken’s Heihachi Mishima, and the Gamecube version included Link. The campaign to find the Soul Edge was longer than you’d expect from a fighting game and the multiplayer was extremely well balanced, allowing anyone to perfect any character. Xianghua was my character of choice. 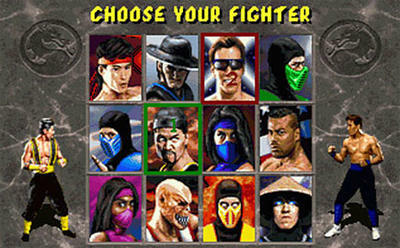 The Mortal Kombat franchise was a right of passage for anyone who came in contact with the Sega Genesis. Mortal Kombat II only brought four new characters to the mix but the only two that really mattered were Sub-Zero and Scorpion. Repetition of a few choice moves more than annoyed any newcomer but I suppose that was half the fun. Although the Mortal Kombat genre seems to have taken a turn for the worse as of late, it’s near impossible to recreate the simplistic perfection that made up the earlier iterations. Sub-Zero took me further than he should’ve. 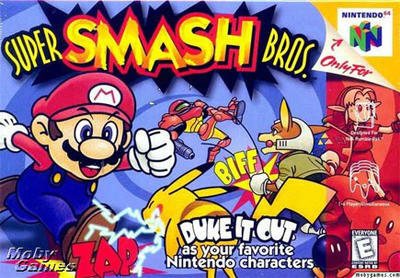 Super Smash Brothers for the Nintendo 64 was the start of what I consider the best fighting franchise of all time. Limited to eight starting characters and four unlockables, Smash Bros. 64 brought together the best Nintendo had to offer for an all out battle with full control of Pikachu, Link, Samus, and more. Mayhem ensued whenever you managed to wrangle four people together for a Nintendo mascot showdown and panic ensued whenever someone managed to snag a hammer. Ness, the boy psychic was my deadly weapon. Super Smash Bros. Melee for the Gamecube had quite the cult following but no matter how popular it was in the competitive scene, nothing could prepare Smash Bros. fans for the Wii’s successor, Super Smash Bros. Brawl. With a character roster of over 35 characters including Snake and Sonic, Smash Bros. Brawl brought the game back to its roots with intense air battles and a slower combat. 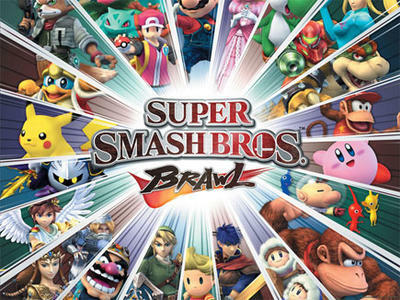 Not only is Super Smash Bros. Brawl my all time favorite fighting game, it’s one of the best games I’ve played. Ever. Peach played mind games with those turnips. 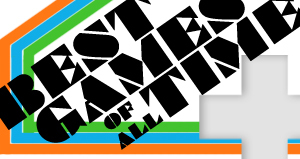 What are you favorite fighting games of all time? Do you prefer the classics or something new? Share your favorite five in the comments.